I am working on a creepy (but delicious) Halloween party treat for my son’s preschool. I always like to come up with creative treat ideas such as my Christmas Mouse treats I made last year. 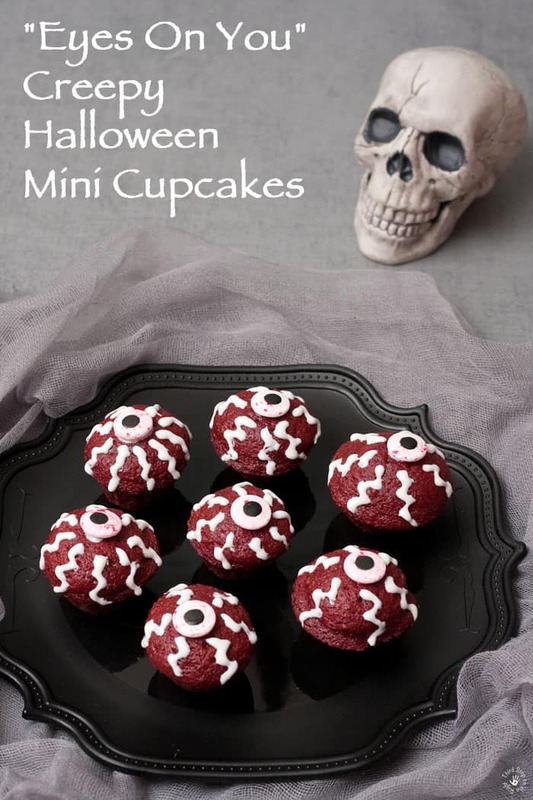 For this Halloween party I decided to make some eyeball mini cupcakes. I thought these were different from the traditional pumpkin and ghost treats. Plus, the kids love them! These eyeballs are actually quite easy to make. 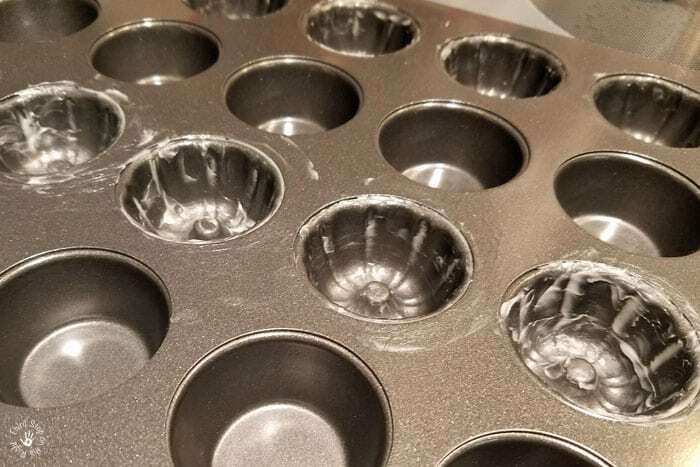 You will want to get a mini bundt cake pan. For this recipe you will want to purchase your favorite version of red velvet cake mix and prepare according to the instructions. Grease the bundt cake plan well so that the “eyeballs” will easily release. Fill each compartment approximately 2/3 of the way with the batter. Cook for about 15 minutes or until a toothpick comes out cleanly. Once the cupcakes have cooled, it is time to decorate! Place a small amount of icing in the center of the cupcake. Attach a candy eye. 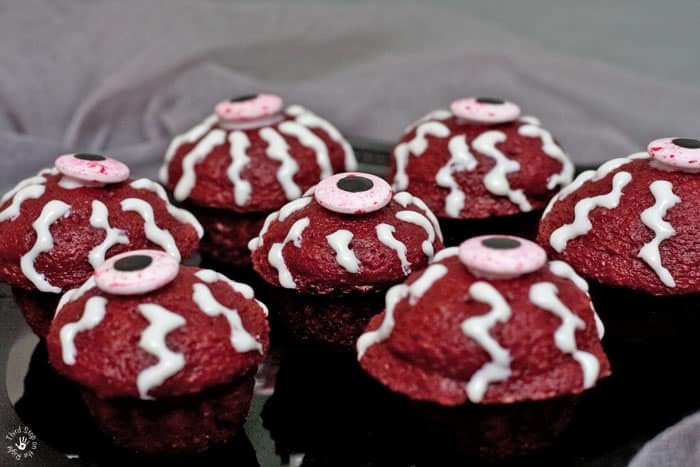 I then used some white icing and piped a zigzag pattern around the eyeball candies, making them the “focal” points. 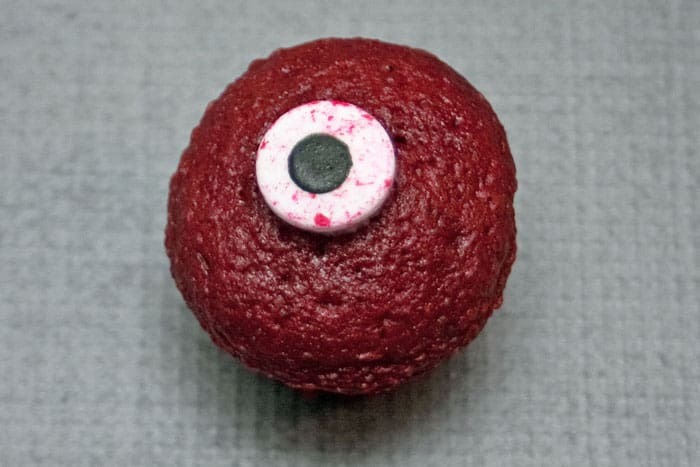 These creepy eyeball cupcakes are great for other creepy get-togethers such as a Ghostbusters viewing party. The New Ghostbusters movie has just been release on Blu-Ray, DVD, and 4K Ultra HD, and the extended edition has over 15 minutes that weren’t seen in theaters. Plus, there are over three hours of hilarious extra footage. As if the Ghostbusters movie release wasn’t enough, you can also experience the Ghostbusters Virtual Reality experience (VR). For now through October 31, when you activate a new line of service from Walmart Family Mobile you will receive a code for a free download of the Be A Ghostbuster Experience. This experience gives users the feeling of firing a proton pack and looking ghosts straight in the eye. 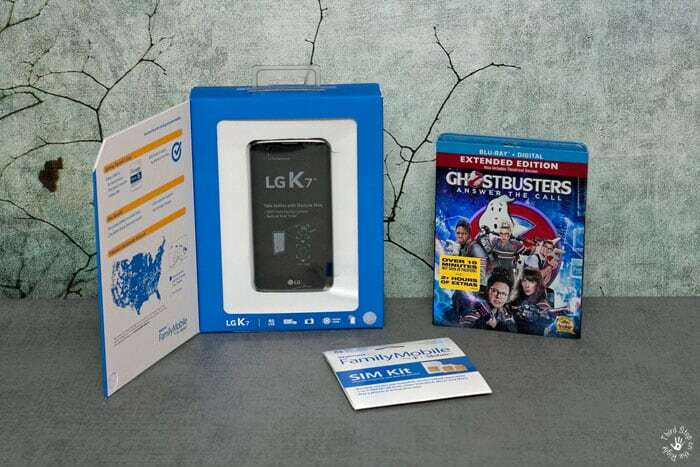 All you have to do is purchase a Walmart Family Mobile product to get the code, visit GhostbustersVR.com, register and redeem your code, and then download the app from the Apple Store or Google play to access the content! It’s that easy. I love Walmart Family Mobile not just for their excellent 4G LTE coverage but also for their fun phones and great plan prices. In fact, you can get a plan with Unlimited Talk, Text, and Data which includes up to 10 GB of 4G LTE and a free movie from VUDU every month ($7 value). These movies are perfect for watching on a Smart TV, ROKU®, Chromecast®, or other compatible devices. 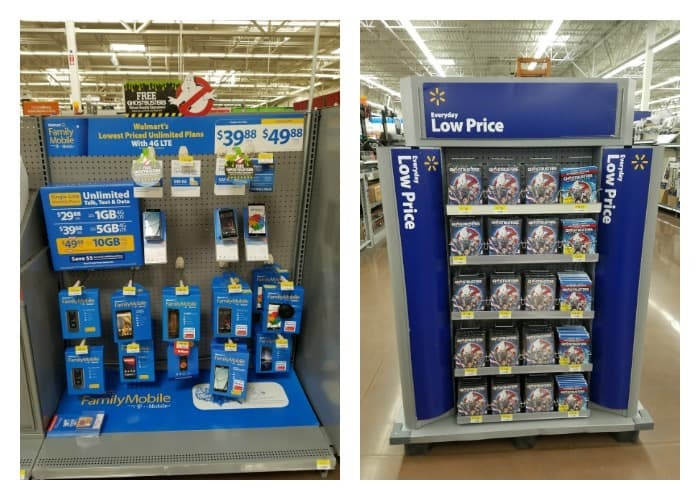 Visit the electronics section of your local Walmart to pick up both your Walmart Family Mobile starter kits, phones, and also your Ghostbusters movie. Plus, at special in-store events you can find out about how to activate a new line, check out plan details, and even experience VR. Check out of there is an event near you. Comment On: What sorts of spooky treats will you be brining to your Halloween get togethers this year?